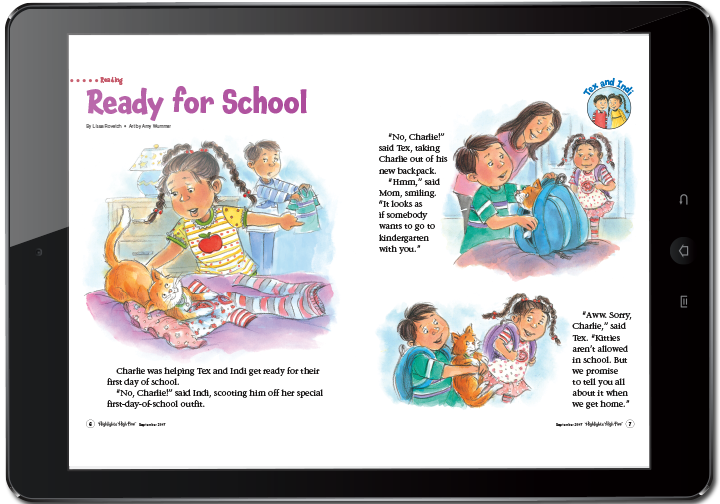 Get little ones excited about preschool learning and reading! High Five Magazine Made Easy! For 70 years, Highlights has offered kids a commercial-free zone in which to play, learn and just be a kid, all while helping them grow to be more curious, creative, caring and confident. 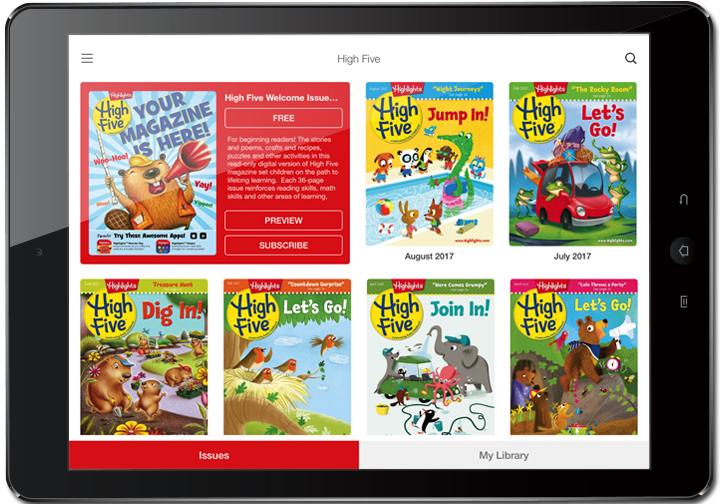 Now, with the High Five digital magazine for iPad and other tablets, kids can access the magazine on their screens for convenient, portable reading and fun! 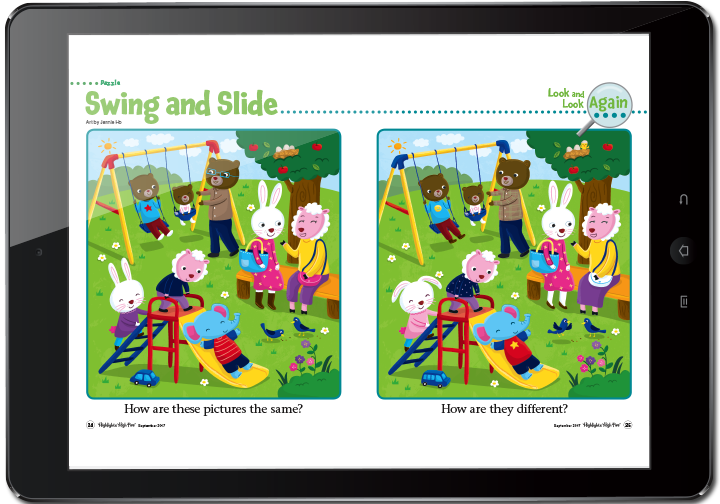 It's screen time that kids love and parents approve! 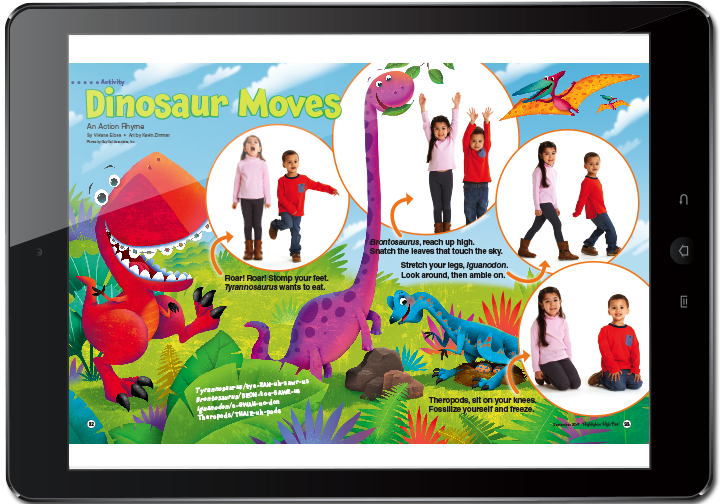 This fun, skill-building digital magazine is a safe, secure, ad-free environment for your children. 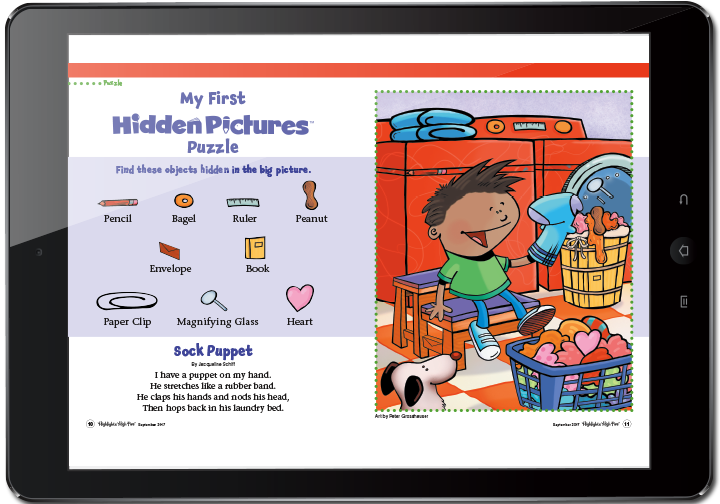 With new stories, puzzles and activities every month, High Five digital magazine for kindergartners and preschoolers is ideal for car time, waiting time, down time — any time!